Icy Shambles is a common Intelligence creature card. It is part of the Isle of Madness story set. 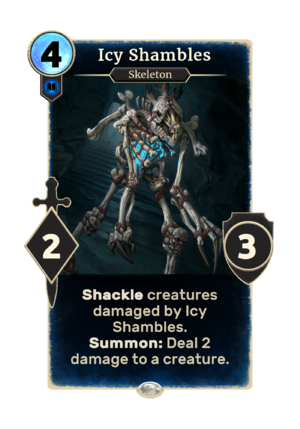 Shambles first appeared in the Shivering Isles expansion for Oblivion. This page was last modified on 19 January 2019, at 16:36.